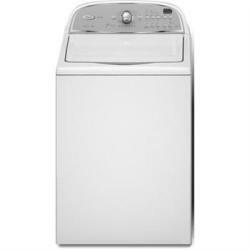 Whirlpool Cabrio WTW5500XW Toploader Washing Machine 3.6 cu. ft. The H2Low wash system feature with Precision Dispense and Auto Load Sensing makes sure all laundry items are clean by deeply penetrating stains and pre-treating soils with a concentration of water and detergent into the area. The stainless steel basket where you'll put your laundry items into is made of a material which experts consider as the best for washing machines in the market. The stainless steel material is resistant to staining, corrosion, and chipping which lower-end models cannot lay claim to. This assures the user that there will be no rust or paint chips that will soil items being cleaned by the washer. The wash basket's 3.6 cubic feet capacity is a notch above the usual capacities of most washers available in the market. This means you don't have to deal with several laundry batches just to finish your entire wash load. There's an automatic dispenser for both bleach and fabric softener dispenser that automatically releases these implements once needed. 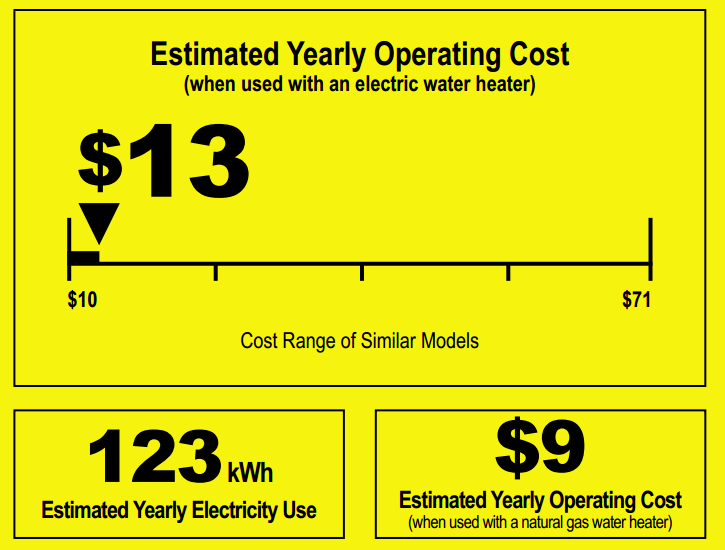 This eliminates the need to estimate and measure, which is very convenient. 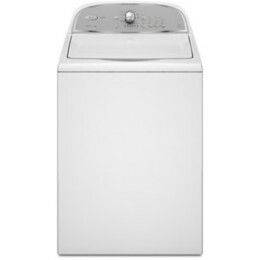 The washer's compact look, white classic color and sloped contours make it a knockout in any room. The controls are all located in the panel behind the loading door, making it very convenient and streamlined to operate the machine. The washer's load capacity is above average, which means you wouldn't need to do batch after batch of laundry - you can fit more than two baskets of laundry in one load. The CEE Tier III and ENERGY STAR qualifications of the washer assures the user that he or she is using a resource efficient machine, which also translates to savings in effort, time and money. The washer's Precision Dispense feature makes for laundry that is clean and stain-free. The 9 automatic cycles of the washer are no-nonsense and no-frills features, perfect for those who want a machine that works without having to be bothered with overly advanced features that end up not being used. Other features such as 4 Selectable Water Temps and Care Control Temperature Management make sure that clothes and other laundry items do not end up getting damaged because of water temperature getting too hot or cold. The limited wash cycles may turn off users who want the works in their washers. The washer's 800 RPM Maximum Spin Speed is a bit weak compared to other machines. The more advanced features in other Whirlpool washers are not in this one. 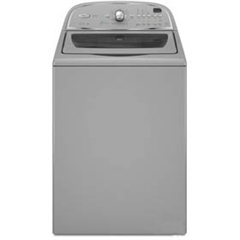 Comments for Whirlpool Cabrio WTW5500XW Toploader Washing Machine 3.6 cu. ft.
After the manufacturers warranty of 1 year,the machine gradually got so loud almost like a freight train while agitating we could hardly hear the TV, we have a main floor laundry.Over the course of the next 2 years it continued, we just thought that was normal for these machines. After 3 and one half years of ownership, it died.It would agitate(clackity clackity clackity)but not spin-just a loud grinding noise .Many sites say check the coupler which turned out was not broken.This piece is located between the motor and the gearbox (transmission).Seeing as the unit was out of warranty,We checked the clutch, brake,water pump, then removed the transmission and took it apart.The main gear in the transmission,a metal gear, was stripped. We proceeded to try and find parts - every part inside the transmission was available, except for the damaged gear.A new transmission for this machine is $250 plus taxes, plus a service call to replace if you are not able to do it yourself.Total would be about $500.00 . Called Whirlpool to complain about the faulty gear and them not being aware (they claimed)of the faulty gear unavailable to be purchased for repair, as well letting them know older machines have lasted 30 years with no problems. They said there is nothing we can do-no discounts on a new transmission, and no recalls issued for the machine.We were irate to say the least. Not even four years later and buying new made any difference. This unit , as are probably most units who use this transmission including Whirlpool, Maytag, Kenmore, Roper, Inglis, Admiral and Kitchen Aid, and many other direct drive washers may have this transmission problem-most are only 1 year manufacturer warranty so be sure to check when purchasing - a top loader set we purchased, Frigidaire Limited Edition that was sold with the other house had a 5 year warranty on the transmission- the most expensive part on the machine. They looked very nice on our front lawn at the road in our neighborhood , with neighbors asking,"these don`t look old, what happened?" We replied,"no extended warranty, they don`t make `em like they used to". this is total crap. have had nothing but trouble with it. dont know why whirlpool has not had a recall on it. there is really something wrong with this washer. The first time we used our Cabrio WTW5500XW washer we knew it was crap. We tried to return (or exchange) it to Leon's 2 days after we bought it. No go. Whirlpool has sent out 3 repair techs who have all said that no part is broken. It's just a crappy design that doesn't use enough water for either the wash or rinse cycles. Some high efficiency washers may be OK but this model is junk. Whirlpool will not offer any return credit. We've tried all the operational changes the techs have recommended (no soap, hot water only, run a cycle with a special cleaner) but none of them has worked. The clothes do not get clean and are never properly rinsed. Three months after our purchase we are fed-up. We want to give the machine away and buy a different one with manual water level controls and an actual agitator. The problem with giving it away is that it's so crappy that we don't want to give it to a family member or a friend. We can't justify giving them a junk product that's too bad for us to use. It seems a shame to haul a 3 month old washer to the dump but that may be what we do. I'm mystified how Whirlpool can sell junk like this. All Whirlpool has to do is Google "Cabrio" to see just how many of their customers have posted about this product being junk. This machine does not spin well. The clothes are wet when they came out from day 1. ( I should have returned after the first time I used it). 1 Year and 2 months later it does not spin at all. customer service and warranty is terrible. cost of replacement parts are outragious. I highly recomend you look at a different product. Crappy washer, frequent overload issues and if you forget to remove all the change from the pockets they will get trapped in the pump and break the housing. I've had it for 3 years and its time to get something else due to constant repairs. We bought this brand new about 18 months ago. Last month, the control panel went out. We're told now that a new control panel will cost at least $350, and on top of that would have to pay a service call fee as well as for labor. $350!!!!! We're throwing this out and getting one with a plain old "knobs and buttons" control panel... we had one of those that lasted almost 10 years. Apparently these computerized panels often fail. lowes sold me a used washer,as new , since when does a washer come with water already in the bottom of it? I will never buy anything from them again. We bought this washer in August, 2010 and it has broken down twice. It continues to tear clothes, sheets and towels if one uses the heavy duty cycle. Whirlpool repair person just says to not use the bulky or heavy duty cycle. Now, this machine will not drain or spin. We have a very ill person in our home and have to wash several loads of sheets and towels everyday. It is so frustrating to have a machine that continues to break down when our last Kenmore machine lasted from 1985 to 2010.